It’s such a beautiful sign of fall when all the leaves change colors. Children are particularly attracted to fallen leaves. They like to play in them, touch them, collect them. 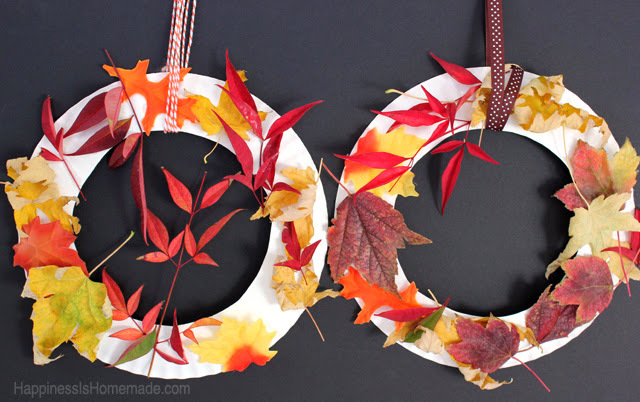 So we’ve put together some fun-but-easy fall leaves crafts. It gives your kids something to so on the weekends. Plus, you get to do some exploring outdoors. 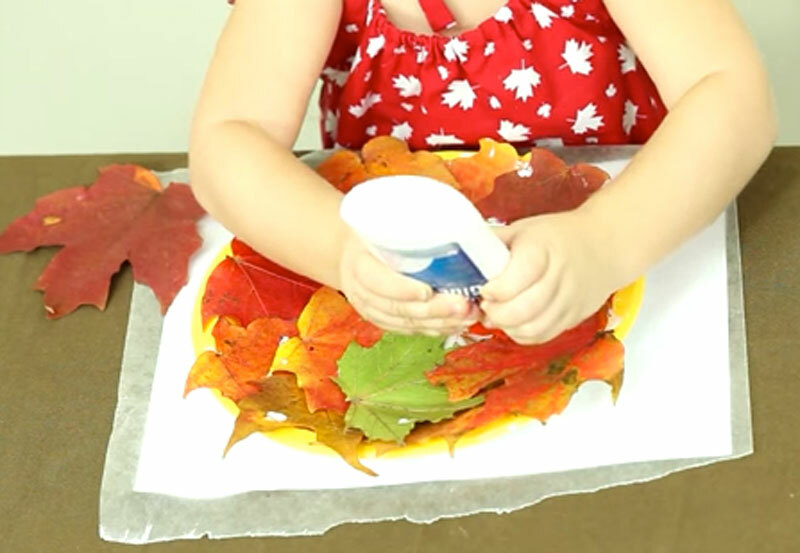 With a paper plate, glue, and leaves, you can easily make a fall leaves wreath. Here’s instructions from Simply Designing. Bring back a leaf collection and make a fun mask. How-to’s in this video. Note: you can easily use any narrow elastic or even ribbon for the mask ties. And glue works too, instead of the double-sided tape. This is the cutest idea from At Home with Ali. Turn your leaves into people or families — with eyes, noses, and mouths. Talk about imagination! On her website she has instructions, photos, and ideas. Don’t you just love when family gets together in the fall for warm soup and and Sunday reunions? Our kids just love to see Grandma for dinner. 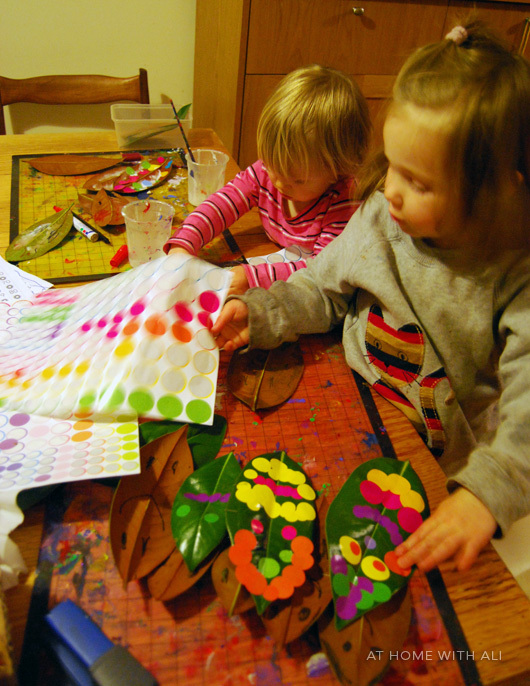 North Texas Kids has a super cute idea of making Leaf Place Cards — instructions and tips on their site. This is a wonderful idea for the Kindergarten child who is learning to write. 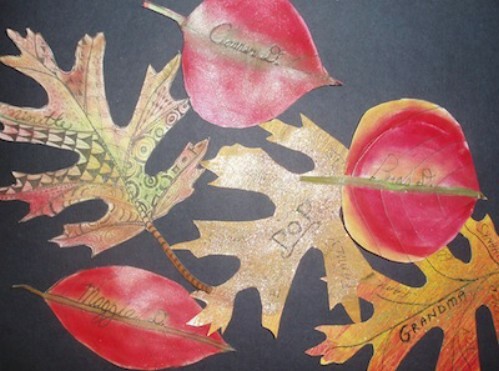 With a little bit of brown finger paint, glue, and fall leaves — this is a fun and easy craft for young children. If you want to keep them busy a little longer, have them make multiples to give away as gifts.